TV Land scraps reruns of "The Cosby Show"
TV Land will stop airing reruns of "The Cosby Show" in the wake of the alleged sexual assault scandal surrounding once-beloved comedian Bill Cosby. A TV Land representative said the reruns will stop airing immediately for an indefinite time. 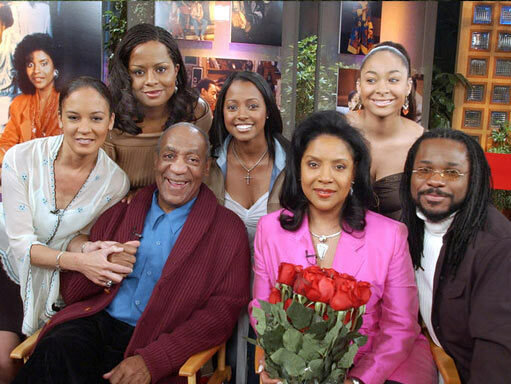 "The Cosby Show" also was to have been part of a Thanksgiving sitcom marathon. NBC, meanwhile, pulled the plug on a Bill Cosby comedy that was under development. NBC spokeswoman Rebecca Marks said Wednesday the Cosby sitcom "is no longer under development." His prospective new series was announced by NBC in January. Also, a Netflix Cosby stand-up comedy special was indefinitely postponed late Tuesday, as mounting evidence of Cosby's faltering career. They occurred a day after model Janice Dickinson, in an interview with "Entertainment Tonight," became the third woman in recent weeks to allege she'd been assaulted by Cosby -- charges strongly denied by the comedian's lawyer. The developments, which involve allegations that were widely reported a decade ago as well as new accusations, have gravely damaged the 77-year-old comedian's reputation as America's TV dad at a time when he was launching a comeback. A year ago, a stand-up special -- his first in 30 years -- aired on Comedy Central and drew a hefty audience of 2 million viewers. Former "Cosby Show" star Raven-Symone, spoke out on social media on Wednesday to slam the speculation -- which apparently stemmed from a story on a parody website that claimed she was a victim of Cosby's after the hit show ended. "I was NOT taking advantage of by Mr. Cosby when I was on the Cosby Show! I was practically a baby on that show and this is truly a disgusting rumor that I want no part of!" she wrote on Instagram. "Everyone on that show treated me with nothing but kindness. Now keep me out of this!"